My dad isn't a big fan of fish. 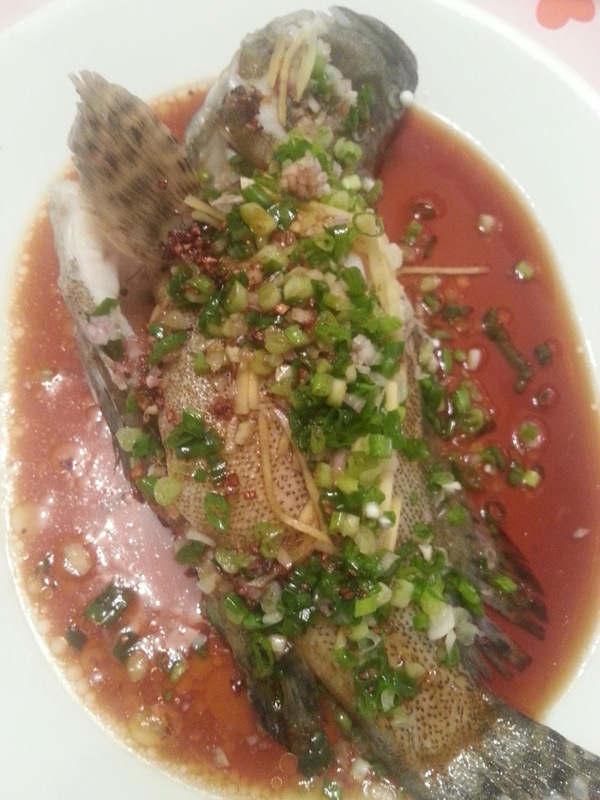 But if the fish is very fresh and steamed cantonese style, he can have one all to himself. I usually have the fish monger select a live fish from the tank for my dad. It's steamed for 10 minutes and fresh ginger and green onions and are put in top and hot oil is poured on top and seasoned with soy sauce. The challenge is usually the time needed to steam the fish and the plate to hold the fish to steam for fish that are over pound and a half. The fish sometimes needs to be cut in half and Chinese do not like to serve fish cut in half. 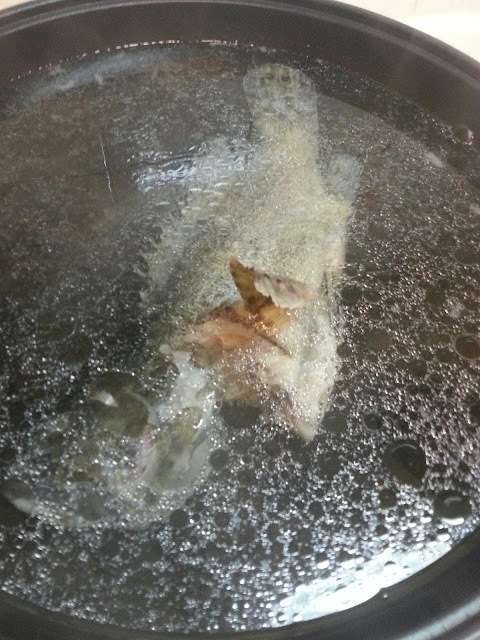 My dad suggested to poach the fish in water. I never thought of poaching a fish meant for Canto style. But at the restauant, a lot of my foods are slow cooked and so why not poach a whole fish and dress it canto style? The fish was poached gentlely for 20inutes at 85 degrees celsius. It took a little longer than steaming, but the results were great. The fish was evenly cooked and very succulent. Hot sizzling oil and soy sauce was added on top. The mat was still sticking to the bone, an indication that it is cooked but not over done. Contrary to Chinese thinking, none of the flavours were loss and it is indeed a lot a better way of cooking steam fish Cantonese style.